The SyncServer S600 Network Time Server with security-hardened NTP Reflector™ technology improves the security, accuracy and the reliability of the time services on the network for IT network administrators working to provide network time services in hardened network operations.The S600 Network Time Server is purpose built to deliver exact hardware based Network Time Protocol (NTP) timestamps. The unparalleled accuracy and security is rounded out with outstanding ease-of-use features for reliable network time services ready to meet the needs of the user network and business operations today, and in the future. 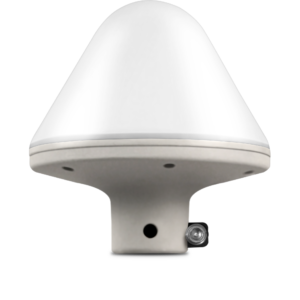 The Microsemi SyncServer S80 Network Time Server with security-hardened NTP Reflector™ technology is a fully integrated GPS/GLONASS antenna, receiver, NTP server, and PoE interface that easily integrates into existing PoE infrastructure to immediately be the source of accurate, secure, and reliable time stamps for all network connected devices. Network isolated physical security systems benefit as the ruggedized Stratum 1 network time server is ideal for time-synchronizing IP security cameras, access control devices, and digital/network video recorders. 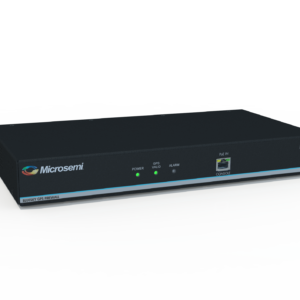 The Microsemi SyncServer S80 is also suitable for synchronizing the time on small enterprise networks. The SyncServer S650 Time and Frequency Instrument provides unprecedented synchronization flexibility and performance using Microsemi FlexPort™ technology. The GPS referenced S650 is designed for modern electronics systems and networks that require best-in-class synchronization performance easily adaptable to a wide range of applications.The base Timing I/O module with eight BNC connectors comes standard with the most popular timing I/O signals (IRIG B, 10 MHz, 1PPS and so on). When more flexibility is required, the unique Microsemi FlexPort Technology option enables six of the BNCs to output any supported signal (time codes, sine waves, programmable rates), all configurable in real time via the secure web interface. The incredible BNC-by-BNC configurations makes very efficient and cost-effective use of the 1U space available. Domain Time II is a comprehensive software solution that simplifies time synchronization across the network. Versatile time clients keep the network hierarchy synchronized to a GPS referenced Network Time Server. Easy to use management tools simplify and automate many tasks related to keeping these clients up-to-date. Monitoring functions track time client sync across the network and notify you of any problems. Domain Time II has been designed to conform to your existing network infrastructure and to scale easily across installations of any size or complexity. In addition, Domain Time II has unmatched accuracy, manageability, security, and verifiability features that are essential in any environment with mission-critical systems. One-input, fifteen-output RF distribution amplifier delivers a centralized output signal without degradation. 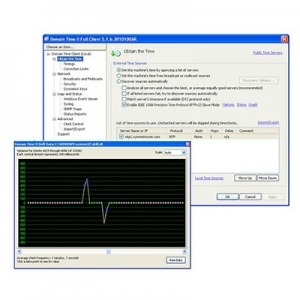 The 4036B provides fifteen outputs from a single input for distributing RF signals in laboratory, factory, and test and measurement environments where low phase noise and high channel isolation are required.